On St Patrick's Day, at the State War Memorial in Kings Park, Perth Western Australia, a wreath was laid by Mr Alan Kelly at the plaque commemorating Martin O'Meara VC. Highgate RSL members, Kings Park guides, visitors and tourists, including Angela, who writes A Silver Voice From Ireland blog, attended the short but moving ceremony. 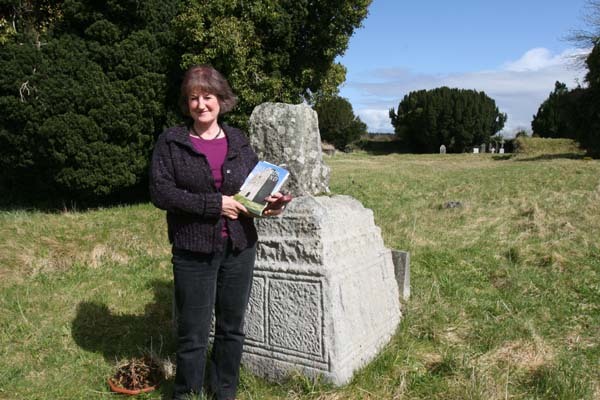 Patricia Burke is trying to trace her husband’s ancestors who lived in Kilcarron, Lorrha and she has supplied the following information. John Burke ( his father’s name was Martin), married Mary Nolan November 14, 1881 in the Lorrha Roman Catholic Chapel. They had 10 children: Martin born 1883; John Christopher born 1884; James born 1885; Sarah born 1886; Ellen born 1888; Hugh born 1889; Thomas born 1890, Margaret M. born 1896; Winifred born 1898 and Julia born 1900. Patricia notes that the name is also spelled Bourke on the Census which also notes that John Burke ‘Bourke’ lists his birth place as Galway. If you have any information and can help Patricia in any way, she can be contacted by email at patriciaburke@rogers.com or by post to Patricia Burke, 212 Summerfield Drive, Guelph, Ontario, Canada, N1L 1L3. Happy New Year to Rose , Fr Mulcahy and the kind folk of Lorrha whom we met when researching William Hogan and Annie Doorley and descendants. Special greetings to all Doorley family connections who made us so welcome during our 2011 visit. We are still researching but have had no success finding anything further on Anne Hogan baptised 1/11/1838. The other four children we have baptisms for - Bridget, Michael, Mary and James all emigrated to Australia. It seems a little unusual that there wasn't a son called William after the father. Best wishes Margaret and Brenden Love and Bernice Clarke (Hogan, Doorley, Finnan and Merrigan descendant). Peter Fitzsimmons from Queensland, Australia is trying to trace his Lorrha relatives. His great grandfather Thomas was born in Lorrha in 1883 to Thomas Fitzsimmons and Margaret Hoctor and went on to farm there. Thomas Fitzsimons/Fitzsimmons emigrated to Australia on the ship ‘Meridian’ on 10th August 1852. In earlier mentions of Thomas – marriage etc – his surname is spelled ‘Fitzsimons’. However, in this death notice, his name is spelled ‘Fitzsimmons’. Thomas married a Catherine Ryan nee Murphy and raised a large family including Peter's grandfather. He was a cotton farmer in Ipswich which is just outside Brisbane in Queensland. Thomas also had a brother John who was born about 1837 and came out to Australia & raised a family in Victoria. Also a sister Esther (sometimes known as Hester) who was born about 1835 and came out to Australia. Esther died in New South Wales. In the 1901 Census, there is a Margaret Fitzsimons living in House 5 in Lorrha East. She is shown as ‘Not Married’ but this could mean she was a ‘widow’. Peter and his family would be thrilled to hear from anyone who might be able to provide further information on his family. He can be contacted by email at peterfitzsimmons@bigpond.com or by post to 25/2-10 Coolgardie Street, Elanora, Queensland 4221, Australia. My Great Great Grandfather Patrick had a brother- John Larkin - Both Born in the 1820's.....The Larkin Family in Lorrha may have a nephew named David.. I am an exact match to his DNA.......Any help would be great! Congratulations once again to Lorrha Development on another outstanding result in the Tidy Towns competition - ye are up there with the best of them!. Hi have just received some family history information today and have looked up this area as my gggrandmother was baptised in Lorrha RC parish church on 9th of April 1847. Was hoping I could get some photos of the church and of the town to include in my family history of her. But am a little confused which church it may be. I am from Australia, and her name was Ellen Sheehan and her father was the Sergeant of Police, John Sheehan at this time. Hi, just found Mary REDDEN's baptism 29 Dec 1831 in the Lorrha Catholic Church. Mary Redden and Stephen Moffatt married 15 Aug 1852 at St. Brendan's Catholic Church, Birr, Co. Offaly. Mary's father was Daniel Redden, mother Ann Hough. Baptism sponsors Michael Hough and 'Mrs' Meara. The Moffatt family went to Manchester England c 1857 and lived with my 2nd great-grandfather Thomas Moffett and his family in Irving Street, Hulme. If you have any connections would be pleased to hear from you. JOHN NEVIN & HIS WIFE KATE DOORLEY/DOORLAY/DOORLY with some success and some disappointment – the dream of finding living relatives in Ireland!!!! You then placed an add in local papers and there were a couple of responses, but nothing definite has emerged yet. 1854/07/20 NAVIN John and DOORLY, Catherine. Unfortunately there was no marriage register in the safe to provide further detail. It was however reassuring that you listed the same marriage entry in your findings, ... you also found a baptismal record for their son Michael who came out to Australia with them in 1857 on the ‘Parsee’ - all confirmation that we were on the right trail of the correct relatives!!!! Am now wondering 1) whether you might have access to the Marriage register or other means of obtaining any more detail of the marriage – addresses, family, witnesses etc..
2) Kate Doorley/Doorlay/Doorly ‘s birth origins in Ireland remain a mystery!! Year of birth believed to be 1832 daughter of James Doorley/ Doorlay and ?? Ann Mara... Are you able to check if she came from another county of Ireland prior to marrying John Nevin in Lorrha??? You found her 3 siblings baptismal records for Grange/Lorrha but nothing for her. Am wondering whether it is the same family of children as a sister Bridget has turned up in Oz, (came out with sister Kate on the Parsee!!) but the dates of baptism on your record precede her likely being born! !...how reliable would the baptism info be??? Congratulations to the Lorrha Development Committee on a very successful festival. Special thanks to everyone involved in the unveiling of the plaque to my great uncle Martin O'Meara and the other men from the parish who died in the First World War. It was a very beautiful and moving ceremony, and a day that I will never forget. I hope it is not too long before I am back in Lorrha again. People in the area of Lorrha may be interested in this article that appears in Post Newspapers (22 June edition), a free weekly local newspaper serving suburbs of Perth, Western Australia. Scroll down to page 6, which has the article entitled "It's a close link to Tipperary". The article continues on page 95. Best wishes to all there for the Heritage Festival! Here in Perth Western Australia the valour and sacrifice of Martin O'Meara VC will be remembered and honoured, as the memorial plaque for him is unveiled in Lorrha on Sunday. 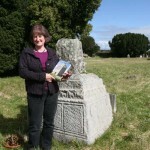 Liz Laidlaw is trying to trace her relatives. Her Gran’s surname was Horan and she married John Holdsworth Hewitson in Victoria, Australia. Their son Robert William Hewitson married Ann King who came from Devon. Her father was Clement Hewitson the last of nine children to Ann and Robert, but of the nine only four survived. On her marriage certificate she gave her parents as John Thomas Horan and Johanna Lewis. Liz hasn’t been able to find her on any passenger list, but she does know that her grandmother married Australia in 1858. Liz says that Lorrha was always mentioned when talking family history as was Birr and even though she has had a researcher look at Birr, there has been no success, so now the focus is on Lorrha. Lis says that any information will be greately appreciated. Jim Larkin is trying to trace his relatives in the parish and would welcome help in trying to piece together his family tree. He has supplied the following information which he hopes will be of help. Patrick Larkin (Great-Great Grandfather) to Ray, Jim, Carol, Joe Liz, Michael) Larkin. Bridget Gill (Great-Great Grand Mother). Born in or around Lorrha Parish Tipperary County Circa 1825. Married on Nov 27 1845 at St Paul’s Arran Quay (Aside the Quay Wall) in Dublin. Best Man was John Gill (May be Buried in Lorrha Parish Cemetery, bridesmaid Emily Gorman. Patrick was a Carpenter Builder – 89 North Kings St. Dublin October 1848. He was born around 1816 – 1820 and had a brother John. Jim can be contacted by phone at 6104492950, or 6106591647 or by post at 5036 Fairway Road, Drexell Hill, PA 19026. I am trying to trace my G Grandmother Ellen born ? Lorrha or Birr c.1831/335 to John Thomas Horan & Johanna (Margaret) Lewis. She came to Australia & married here in 1858. Siblings unknown. I am trying to trace my g grandmother Ellen Horan who ? came from Lorrha. Her father was John Thomas Horan, farmer & her mother was Johanna Lewis. She was born approx.1835 & came to Australia & married here 1858. Any help appreciated. Lorrha Parish, County Tipperary. I believe Patrick was born around 1816 -1820. He was married at St Paul's Arran Quay Dublin in 1885. John Larkin was a brother .. Any information would be great ! We are researching the Timothy WALKINS family from Sharragh, Lorrha. He was born there 1835- parents John WALKINS and Mary HORAN- sister Mary Walkins. He became a gold miner in Victoria and Otago NZ and married Ellen BROWNE.Sister Mary married James HEENAN in Victoria AU. We would love to hear from anyone in Lorrha connected to this family.